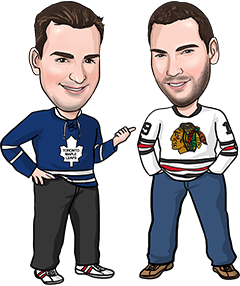 We sat out yesterday’s 2-game NHL slate, which we regret a bit as our lean on the Flames +0.5 in regulation (posted on Twitter) would have been a winner. Calgary came up with a great effort to upset the Blackhawks 3-2 in overtime. The beginning of the season is always a bit tricky to handicap but we think we’re starting to get a feel for the way the league is going. Now that the teams have played a few games, situational spots (like the struggling Flames getting away from home and being able to focus on playing a solid road game) should start to emerge a bit more. Nice 11-game board to choose from tonight, and we’ve come up with 3 bets – all of them in early action. Good luck if you’re tailing along. Odds below are at the time we posted the pick to our site. Be sure to check out our live odds page for updated odds on today’s games. Don’t feel like the oddsmakers have compensated enough for Boston’s goaltending issues. Tuuka Rask is out and backup Anthon Khudobin was injured in practice Monday, so Malcolm Subban – who has already been struggling in the minors – will be pressed into service tonight. Having Subban in net could have the Bruins play with extra focus (especially defensively), but we still like our chances that Minnesota can get a few goals tonight. 3 goals could be enough versus a Bruins team that has scored 2 goals or less in 3 of its last 4 games, and in the other game had just 2 goals until the final 2 minutes of the third period versus Winnipeg. Sidney Crosby may return to the lineup for Pittsburgh tonight, but that’s not what puts us on the Penguins. We love to bet on good teams coming off poor performances, since they often respond well their next time out. And there aren’t many teams better at that than the Pens, who were drubbed 5-1 by a shorthanded Predators team Saturday in Nashville. Each of the last 6 times the Pens lost by 3 goals or more, they’ve rebounded to win their next game. Pittsburgh’s had 4 days to stew over that loss to the Preds and we expect a focused and motivated effort tonight at home against a Panthers squad starting backup netminder James Reimer and 2-14 in its last 16 trips to Pittsburgh. Hopefully the Pens don’t need OT to finish the job. Lots of potential in this game for either goalie (or both) to struggle. Buffalo is giving Anders Nilsson his first start of the year, and Philly is turning to Michal Neuvirth – who was pulled from his last start after allowing 4 goals on 16 shots versus the Blackhawks. The Flyers played their first Under of the season last night in Montreal after averaging nearly 4 goals a game in their first 5. Sabres are well rested (haven’t played since Thursday) and Philadelphia has allowed 3 goals or more to each of its last 5 opponents. It seems likely that each team will score a couple tonight, so hopefully we just need one team to score 4 and cash this Over at plus money.